Howdy y'all! Welcome to another installment of "Ask Sentai"! Today we talked to a bunch of people around the office, so let's hear what they had to say about your questions. Have a question you want answered? Hit up our ask.fm page and leave us a good one! Just saw your announcement for Hamatora. Will it be a sub-only or bilingual release? I know the answer to this, but I'm seriously trying to not get fired today, so you'll have to wait for that answer. It won't be long though! Who's your favorite Shirobako character? Mine is Erika Yano! How likely do you think Black Bullet will get a BD release? And what about an English dub? I am pretty confident that it'll get a BD release. As for an English dub, can't really say right now! Have you guys play some video games while break? How come in Sentai Filmworks dubs, whenever an anime character starts singing, it switches over to the Japanese voice for that character, then switches back as soon as the character stops singing? How come the American voice actors almost never sing in dubs? "I would ask the questioner to understand that the songs are a unique work in themselves, and to change or adapt, would require a unique set of circumstances. For example, just like if you were to watch an American made movie dubbed in another language, it would be highly unusual for the songs to be re-made into that language, especially by a famous maker or custom made for the movie." will you be making a season 1 blu ray for snafu s1? Mr. Sentai Media guy, we know what your favorite Anime is. What are some other popular titles that float around the office? Are you guys planning to license Gatchaman Crowds: Insight? It's on our radar right now! A release date for Parasyte hasn't been set in stone yet. We are really excited about the release as well, so hopefully more news will be coming soon! What is your favorite moment in My Love Story so far? And will it get a dub? 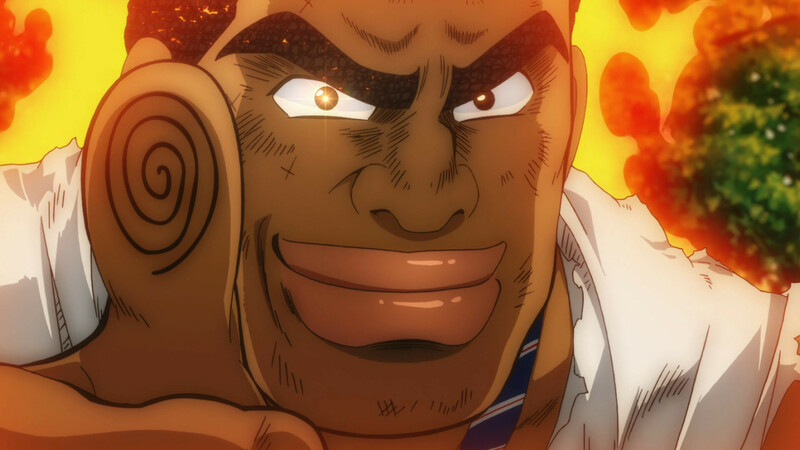 I've only seen up to episode 4, but my favortie scene is definitely when Takeo saves Yamato's friends, even after all the nasty things they said. He's got a big heart, great guy. I think i would probably be one of his groupies if I were in his world haha. That's it for this week! Next week we'll talk about the pros and cons of naming your kid after an anime character. See ya!